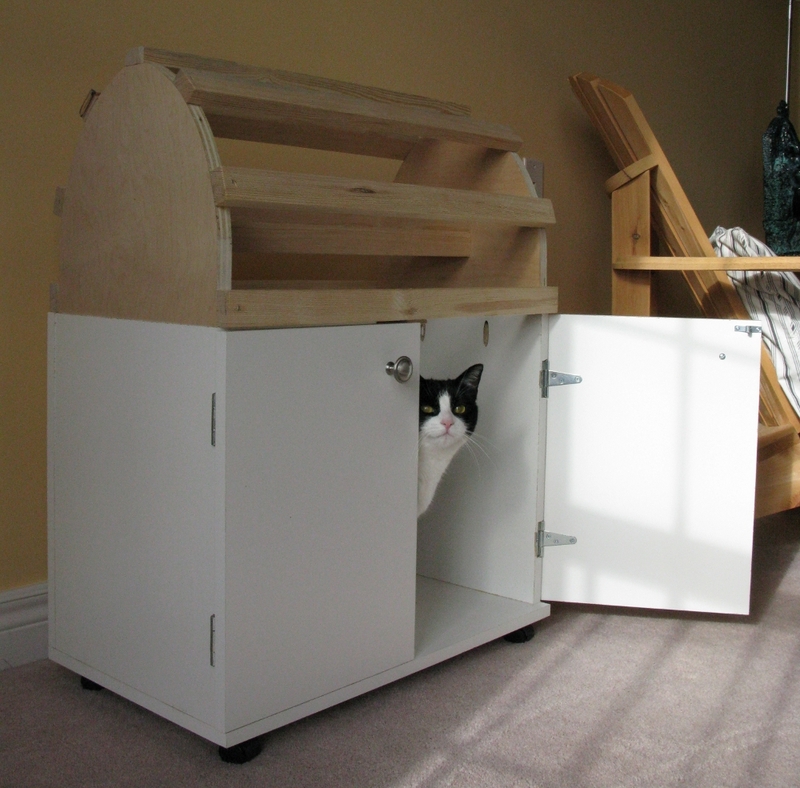 This is a quickie rolling cabinet that I built to store English riding tack for a certain rider I know. It’s mostly made of scraps I had sitting around – a bit of 3/4″ maple ply, a couple of 2×4 studs and some white melamine particle board. The wheels were from some scrapped appliance or shelving unit – not really sure, but they work fine. 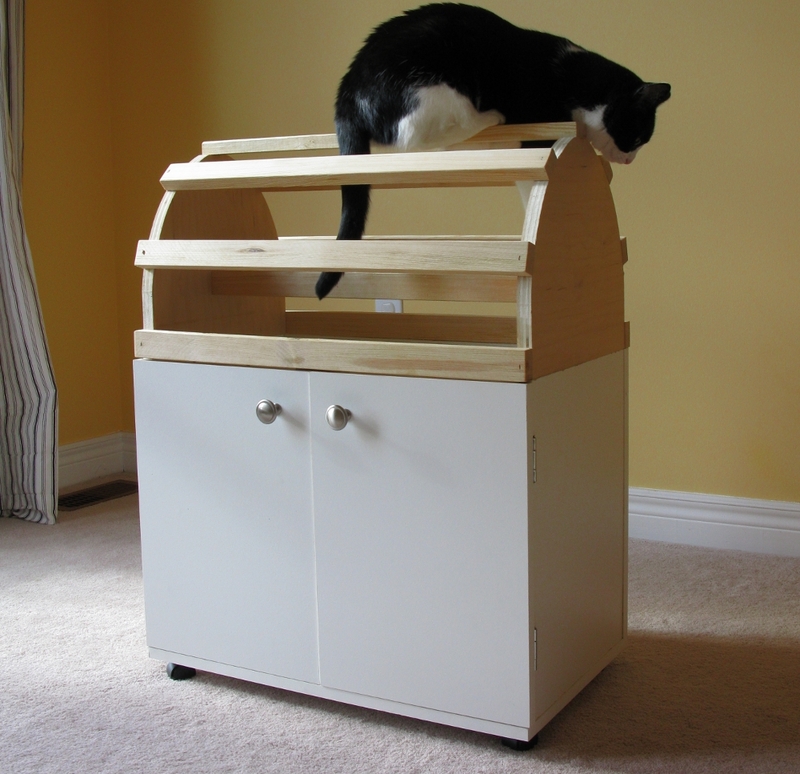 The idea is that the saddle goes on the top and the cabinet can store a bucket or bag of grooming tools. The cat loved this one – couldn’t keep her off of it long enough to snap a picture.